It was a deceptively cold March weekend [-6 Celsius, but felt way colder with the wind chill], yet that didn't stop comic book and anime fans from coming out in droves to the Spring Edition of the FanExpo Toronto Comicon being held at the Metro Toronto Convention Centre. It was a 3-day event -- overlapping St Patrick's Day -- spanning from March 16th to Match 18th, and featured a diverse selection of special guests. 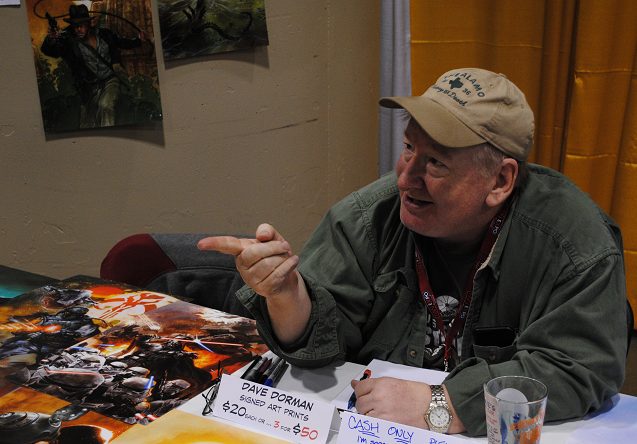 As an 80s/90s DC comics fan, I was very interested in meeting Dave Dorman, John McCrea and Howard Chakyin. Ty Templeton was around somewhere, but co-editor Mark Belkin already interviewed him at the 2016 Montreal Comiccon -- and I don't think I could ever top Mark's interview -- so he wasn't an urgent priority. 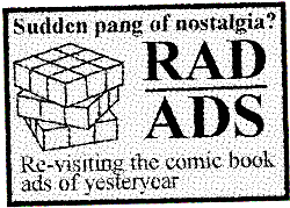 As a fan of comics from the 90s, I was hoping to chat with Howard Mackie and Richard Pace. Also appearing at this convention, which I suspected was the reason we saw a lot of Flash cosplay, was John Wesley Shipp -- who is best known for playing Barry Allen/The Flash on the live-action TV series that aired on CBS during the early 1990s (and now has a recurring role in the new CW Flash TV series as Golden Aged speedster Jay Garrick). Thankfully, Shipp held a celebrity Q&A on Saturday, and we were lucky enough to attend. As a special treat, my guest photographer for this event was Samy Osman -- probably the most famous person I personally know -- who did an excellent job of taking photos of the cosplayers and going-ons at this event. Almost every photo you see in this article was taken by Samy. As mentioned, this was the Spring Edition of the Toronto Comicon -- I'd consider it a 'warm-up' for the main event: Toronto's FanExpo convention which is held late August/early September. 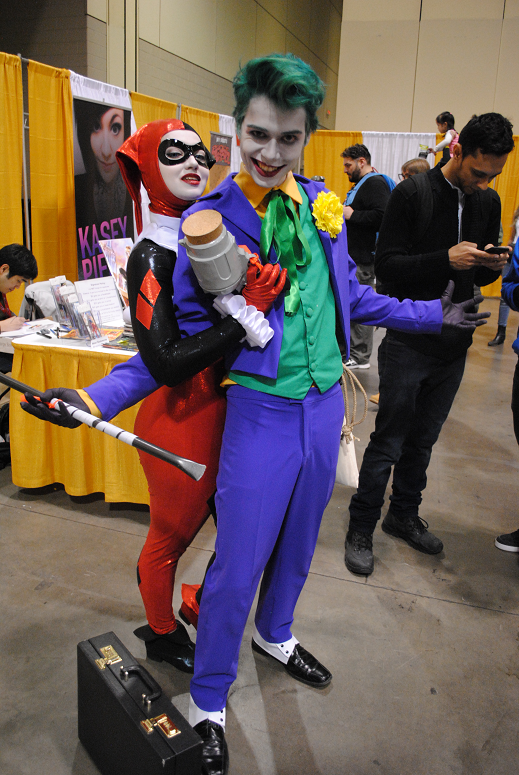 It wasn't the usual sea of Harley Quinns and Poison Ivys (don't get me wrong, there were some Quinns and Ivys), and there was lots of diversity in this event's DC cosplay. Amazons and Wonder Woman were a pretty big theme this time (no doubt inspired by the success of the recent film and rumor of a new Wonder Woman film in production), plenty of Flash-themed cosplay (due to John Wesley Shipp's appearance, naturally) and Teen Titans cosplay (most likely inspired by press release photos of the new Teen Titans live-action TV series in the works). As for non-DC cosplay, Marvel's X-Men was a pretty big theme this year -- and we saw a lot more X-Men characters than we were used to. Asgardians were also a recurring theme, thanks to last summer's Thor film (and because everyone secretly just wants to dress as vikings). A tour of the convention floor showed us what to expect these next few days: a huge emphasis on Star Wars, Dr Who, Ghostbusters, anime, and -- of course -- comic books (not in that order). 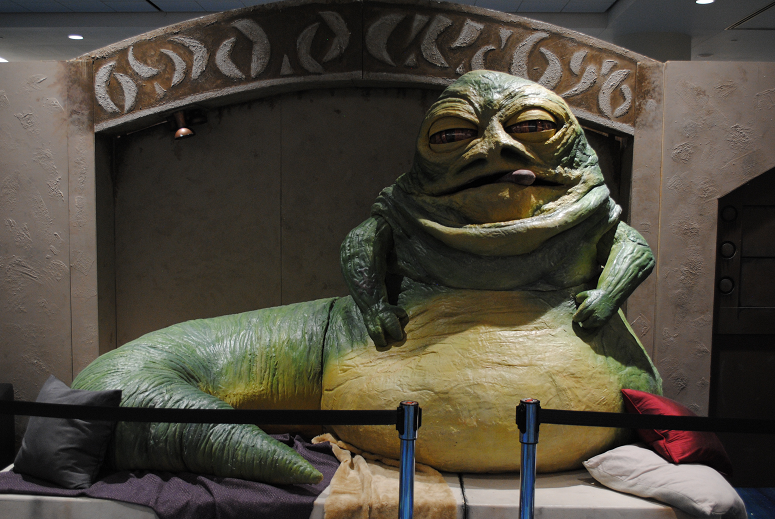 The 501st Legion -- Star Wars cosplay enthusiasts -- has this rad life-size diorama of Jabba the Hutt and his Throne Room you could pose for photos with. Seeing as how that was my favorite part of Return of the Jedi, I though this was absolutely brilliant. 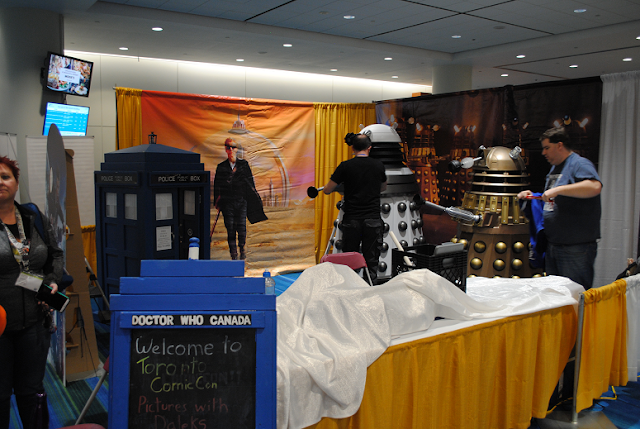 The Doctor Who Society of Canada (self-explanatory) had a cool little exhibit set up in which you can take photos with Daleks. 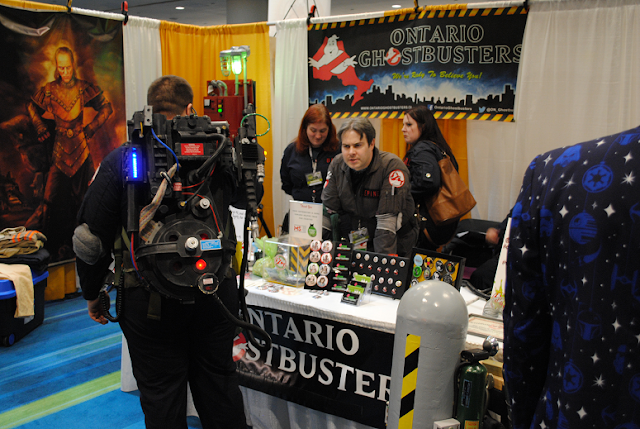 The Ontario Ghostbusters were also onsite with an interactive exhibit booth. One of our first interviews was with Kurt Lehnar -- Canadian illustrator and animation artist. We talked at length about various DC projects he was involved in. He also told us about a few other cartoons from our youth he had a hand in. Kurt's enthusiasm for the medium is contagious, and we'll be posting a complete interview with him in the near future. 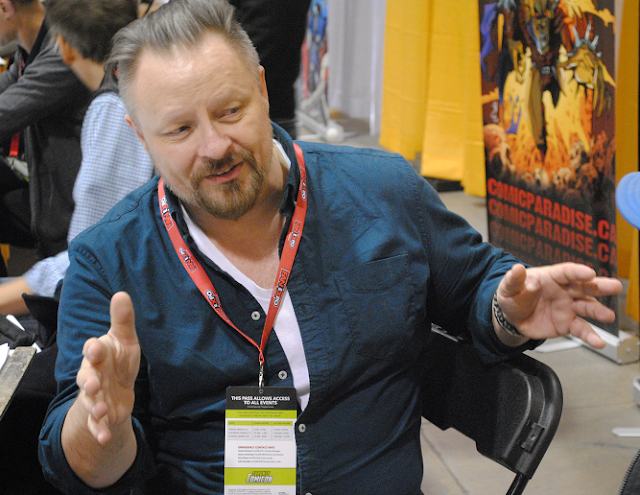 We had a chance to talk to John McCrea, and I really wished I had asked him about working with Garth Ennis on Hitman. Instead, we chatted a bit about pencilling chores on DC's The Demon and Hitman (and his contributions to the stories). McCrea is a really friendly and interesting guy, and speaks with a heavy Irish [?] accent. Stop by and talk to him if you ever see him at a convention. Before Alex Ross, there was Dave Dorman. 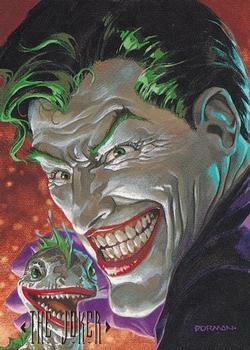 Well -- that's not completely true, but Dorman *IS* responsible for some of my favorite trading card art from the 1994 Skybox DC Master Series -- a set I truly do cherish. My mind went kind of blank talking to him and couldn't think of any profound questions to ask him. PRO TIP: Sometimes you meet an artist, and you really can't think of anything much to say except for how impressed you are with their work. Sometimes it's just best to leave it at that rather than strain yourself trying to look "knowledgeable". Before the evening was over, Howard Mackie made time for us. 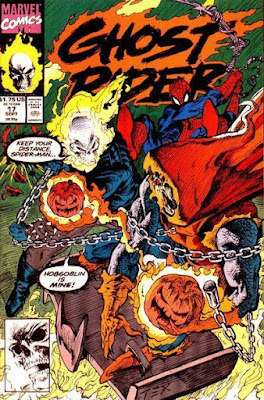 Among the many Marvel titles he's written for in the 80s and 90s, Mackie is best known for launching the 'new' 90s Ghost Rider (of which he wrote the first 69 issues and then some). Marvel's Ghost Rider v3 had the unique distinction of being the ONLY Marvel title I wasn't allowed to bring into my very Catholic household during my teens -- mainly because the lead protagonist rode a motorcycle and had a flaming skull (looking very demon-like). I made a point to (jokingly) communicate this to Mackie in a stern way. Mackie's reply: "You should've told them that it was written by a Catholic boy, and all the characters were Catholic, and it was taking place in a Catholic cemetery." While Ghost Rider had a bit of resistance from the sales team regarding a new series relaunch (ex: brand new 'unknown' creative team, combined with Ghost Rider v2 [1973 - 1983] being cancelled due to low sales), offending religious readers was not something that ever crossed the sales team's mind. "We'd done demonic characters before in a way without reflecting any religion (ex: Damian Hellstrom)", Mackie explained, "so they didn't give it a second thought. It was all about the numbers. Publishing is all about the numbers." I had to hide this issue very carefully from my parents. "I had gotten a promotion [at Marvel], and there were a lot of things going on -- when I got the promotion, I was told the last guy who was editing the New Universe ahead of me was fired and they were giving me the job. And I didn't want it." Mackie went to his supervising editor, DeFalco, and pleaded not to get the promotion. Mackie was concerned that he would be fired next, by Jim Shooter, when the doomed-to-failure New Universe imprint inevitably didn't succeed and would leave a black smear on Mackie's writing career. Instead, it was Shooter who was fired from Marvel within two weeks of Mackie begrudgingly accepting the promotion. 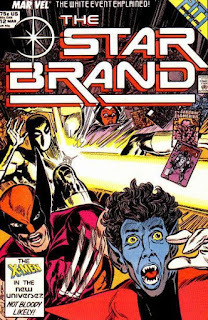 With Shooter no longer imposing creative restraints, Mackie was able to bring on his own creative teams for New Universe titles (ex: John Byrne, Peter David, Fabian Nicieza and Mark Gruenwald). "Bringing John Byrne, at that point, bringing him back in [to Marvel] was kind of a coupe. Because at that point, he had been doing Superman [for DC comics]. He had left Marvel, and I had brought him back. Not only did I bring him back, but I brought him back in to do a book that, for all intents and purposes, he should not have wanted to do. I became known, for a long time, as 'the Byrne Whisperer' -- because I could always get John to do things he didn't want to do." 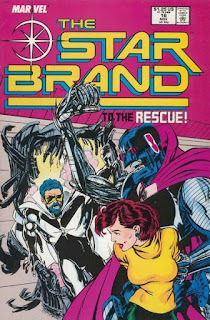 "The way I did it -- and he knows, because John is a good friend of mine -- I would call him up and I would say, for instance, "Hey John, you'd never thought of doing StarBrand? Ah, no no no -- what am I talking about? You'd never think of that." and I'd hang up the phone. And then the phone would ring back -- and I knew it was John -- and I wouldn't answer. Then... an hour later... I'd finally pick up, and he'd say "Goddamnit Howard, all I've been able to do for the last hour was think of StarBrand stories!" and I'd say "Okay, well if you WANT it... sure! You can have the book. You don't have to beg." 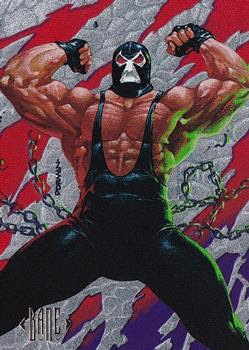 And I did the same thing to him with Marvel's West Coast Avengers." We talked a bit how not too long after the New Universe imprint ended, elements of it still appeared in Marvel's Quasar. 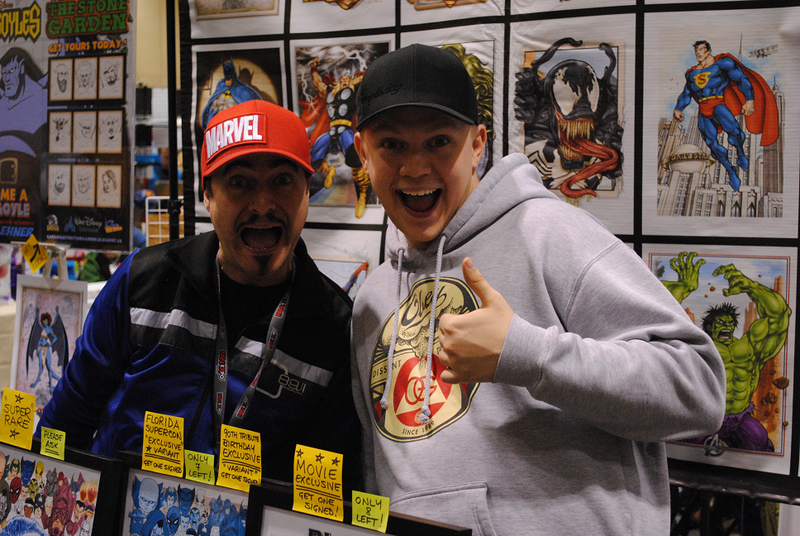 "That was Mark [Gruenwald]'s doing", Mackie assured me, "Mark was so tightly tied in to both." Mackie explained that sometimes books are targeted for cancellation by the sales team, and there was really no way of getting around it. The New Universe creative team saw the writing on the wall. The only thing Mackie asked for was the ability to end the imprint the way the creative team wanted to, and that's what they did. 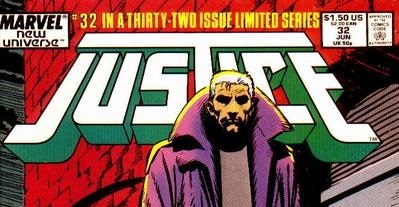 In his own private joke, he made sure to have "#32 in a thirty-two issue limited series" above the title of each book. "I felt like we had told the story and we were allowed to wrap it up, which just wouldn't happen today." He felt that the New Universe imprint finally thrived when they were just free to create as they pleased. The key thing, he explained, was to "just let creators create". Regarding the direction of the New Universe imprint: "'The World Outside Your Window'. That was the conceit of the New Universe, but the reality is that the first time that world changes, it's no longer the world outside your window. One outside event and it changes EVERYTHING." I had way too much fun interviewing Mackie, and I feel a little guilty that we're not 'Marvel in the 80s' because I'm sure he had stories that could've entertained us for hours. A truly charismatic guy, that Howard Mackie. ...and that concluded day 1. Teen Titans! 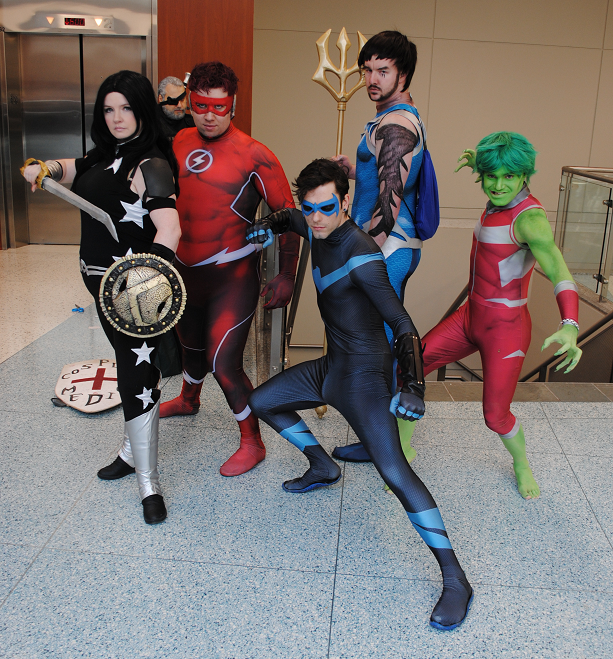 Left to Right: Donna Troy/Troia, Kid Flash, Nightwing, Aqualad/Tempest, Changeling/Beast Boy. 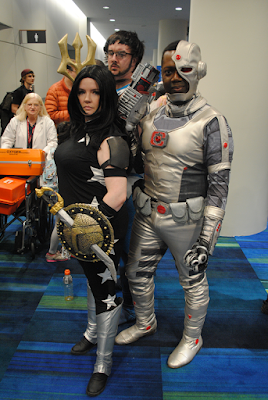 Also: Deathstroke's head photo-bombing us. Lobo and Wonder Woman. As mentioned above, Wonder Women and Amazons were pretty numerous in attendance this year (and they all looked great) -- we selected this WW cosplay pic because it's the classical costume we grew up with during the 80s.... and, if nothing else, we're a sucker for the classics over here at DC in the 80s. Golden Age Flash (Jay Garrick) and more Teen Titans (Raven and Changeling/Beast Boy). FUN FACT: Friday's Rorschach (scroll way up and see Friday cosplay photos) was also cosplayed by the same guy who was the Golden Age Flash. Teen Titans! Love this pic! Left to right: Raven, Nightwing, Starfire and Robin. FUN FACT: The lady cosplaying as Starfire also cosplayed as Silver Sable (scroll way up) on Friday night. Harley Quinn and Joker to the left, Teen Titans (now including Cyborg) to the right. There were quite a few Harley Quinn and Joker cosplayers at this event, but we went with this duo since they looked like dead-wringers for the Batman: The Animated Series Joker and Harley. Upon closer inspection, I'm realizing that 2 out of the 3 Titans in the second photo where in the group shot several photos above, but what can I say? I'm just excited that Teen Titans are getting more attention. 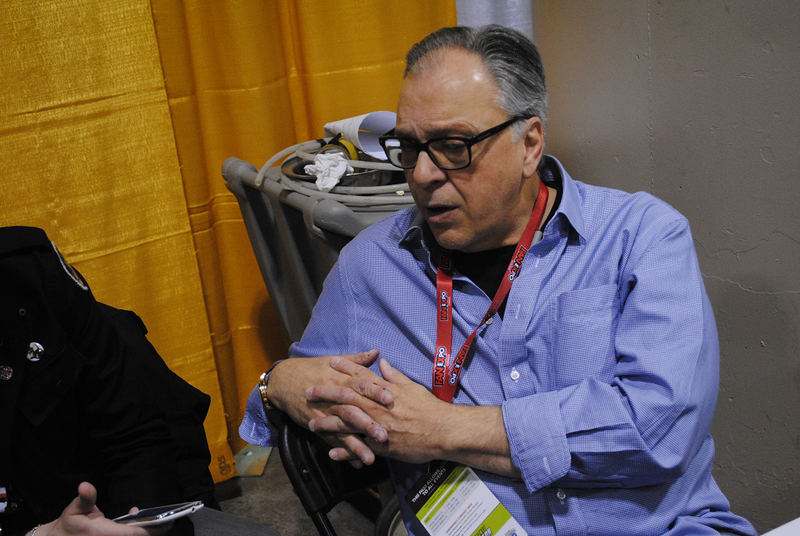 This is writer Howard Chaykin. We appreciate that he took the time to answer our inane questions about comics he wrote 30 years ago. He's a stand-up guy and we truly admire him for being so patient with us. 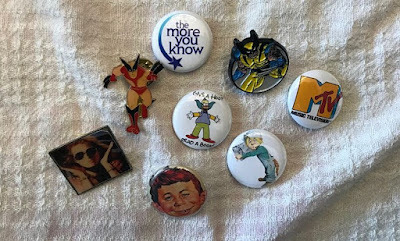 We toured the convention a bit more and managed to fumble our way through an interview with Howard Chakyin. We'll post that interview shortly. 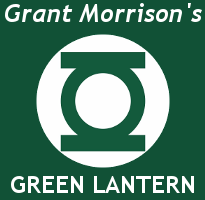 The last event we attended on Saturday was the Celebrity Q&A panel featuring John Wesley Shipp. Prior to this weekend, I really hadn't ever given the 1990 The Flash television series a second thought, but after this weekend, I'm thinking it's probably time for an episode guide. 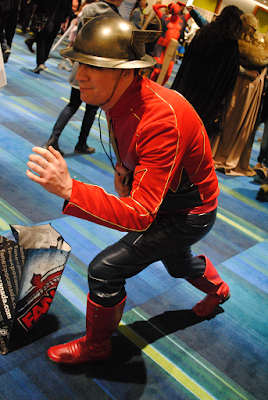 Shipp spoke for about half an hour regarding his experiences on the 1990 live-action television series (as the lead character, Barry Allen), and his experiences on the new 2014 The Flash live-action television series (as supporting character, Jay Garrick). After the first half an hour, he opened the floor to questions. 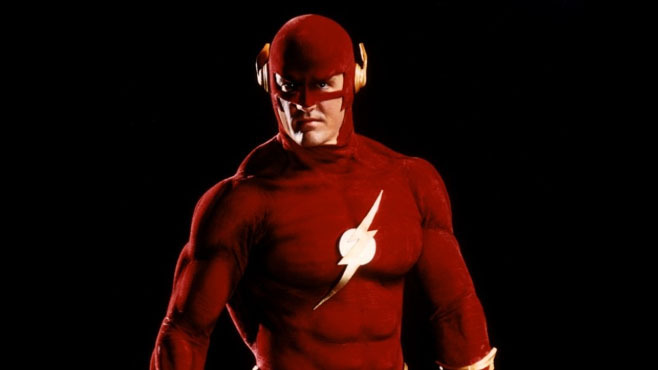 And now for the burning question you've all been wondering: was John Wesley Shipp a big Flash fan before he got the role? Shipp did NOT collect or read Flash comics, or even know WHO the character was BEFORE he was offered the role for the 1990 TV series. "They said to me 'Flash', and I said "You mean Flash Gordon?" I didn't know anything -- it was a process of discovery." He elaborated, "I took everything I needed from the scripts, but then I got curious." He acknowledges that fans have made The Flash the success it is, and wishes to respect that comic fandom legacy -- particularly the Barry Allen/Jay Garrick relationship. I really get a kick when kinda obscure Marvel characters are cosplayed. Here we've got Bishop and Jubilee. Jubilee left her pink sunglasses in the car, and her friend had ran out to retrieve them, she explained to us. Black suit Spider-Man and Black Cat on the left. Kraven the Hunter on the right. I seem to recall Kraven hunting black suit Spidey during the 80s, so this all works out. By Crom! 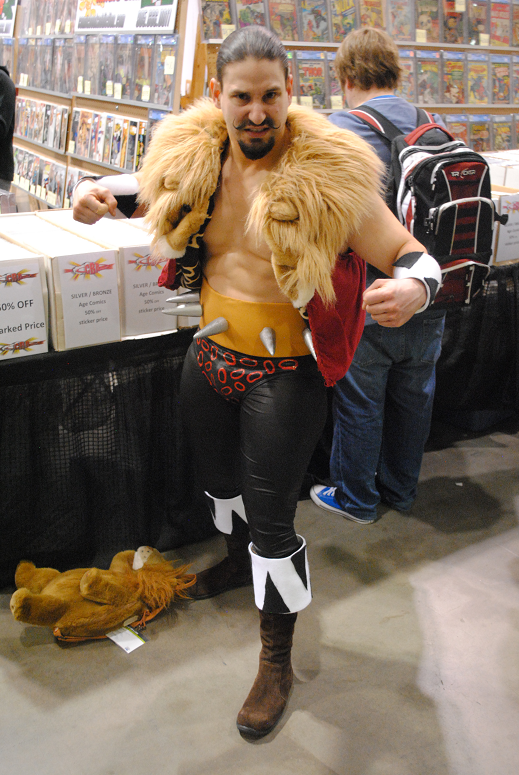 I'm pretty sure this is Conan the Barbarian cosplay -- but if I'm wrong, may the gods forgive me. The convention was packed all day long. Plenty of enthusiastic comic/anime fans. A great showing from Toronto. Yep, I collect pins and patches now. The 2018 Toronto Comicon "Spring edition" was an extremely well-organized and entertaining event. Lots to see and do: bring a reliable camera, a few comics you'd like autographed and prepare to be entertained for the better part of a weekend. Big thanks to Jen and Jess of Touchwood PR for allowing us to cover this excellent event. Another HUGE thanks to Samy Osman for taking the beautiful photos. Samy is sure to win an Oscar someday, so check him out now while he's still an up-and-coming indie star. 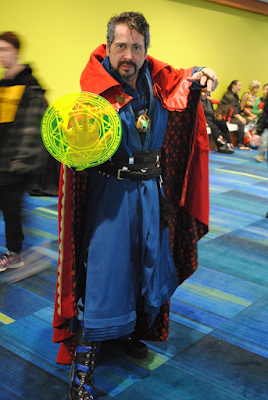 NOTE: If you didn't see your cosplay photo on this page, and we snapped a pic of you, check our 2018 Toronto Comicon spring edition Facebook cosplay gallery. 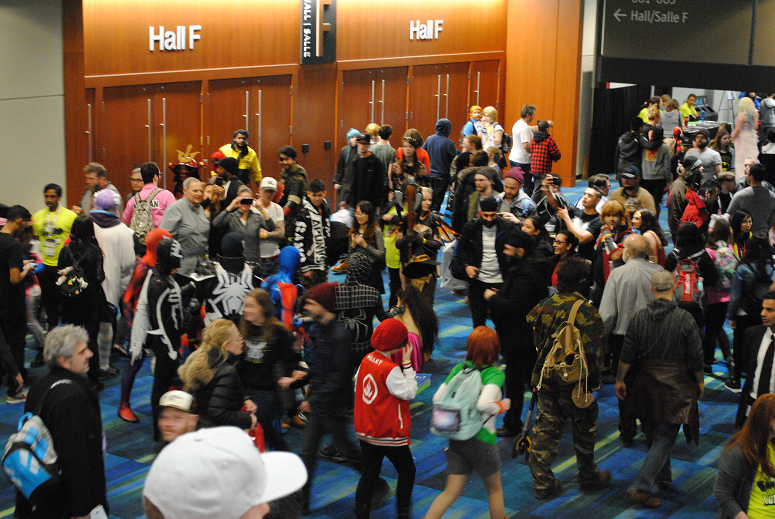 There was lots and lots of great cosplay this year, and choosing photos to post in this article was a pretty difficult task.